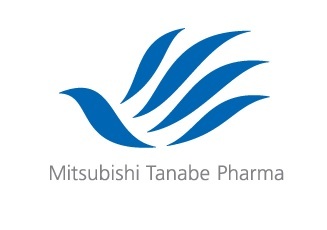 Osaka-based Mitsubishi Tanabe Pharma announced today that its New Drug Application (NDA) for the drug edaravone to treat people with ALS (amyotrophic lateral sclerosis) was accepted by the U.S. Food and Drug Administration. The Japanese pharmaceutical company said it expects a decision on whether it can market the drug in the United States by June 16, 2017. Edaravone was approved last year in Japan and South Korea for the treatment of ALS and has been approved for the treatment of stroke since 2001. If approved, the medicine would be the first drug approved to treat ALS in the U.S. in more than 20 years. Edaravone will be commercialized under the brand name RADICAVA™. Edaravone is thought to work by relieving the effects of oxidative stress, which has been suspected to play a role in the death of motor neurons in people with ALS. (Oxidative stress is an imbalance between the production of free radicals and the ability of the body to counteract or detoxify their harmful effects with antioxidants.) Targeting this pathway could potentially preserve motor neuron health, which could in turn, keep muscles functional for a longer period of time. MDA has supported research investigating the role of oxidative stress in ALS and other neuromuscular disorders as well as therapeutic approaches to combat the damage caused by free radicals. Help fund research breakthroughs by making a donation today.